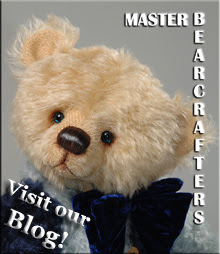 Teddybuys Artist Teddy Bears: Hugglets...not long now! 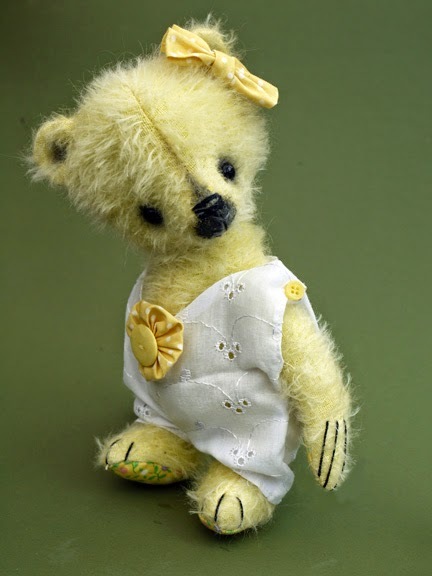 I am still finishing the teddies for Hugglets. Since my head injury, I cannot managed sustained effort in the way I used to. Therefore, I'm behind with photographing the bears! 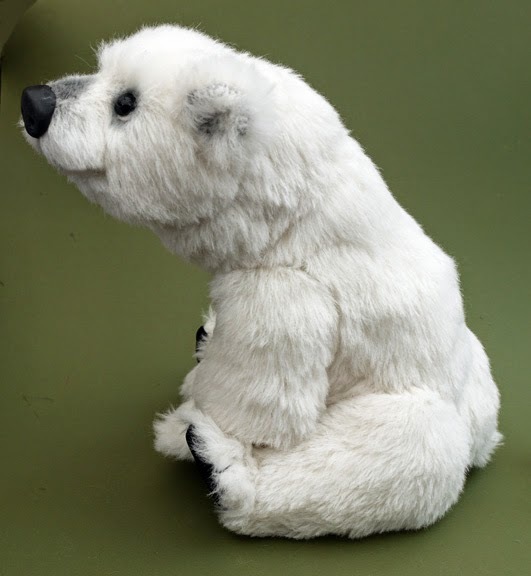 I have a side profile photo of a large polar bear that will be coming with me and a photo of one of my little whimsical bears. He's a biggie! he is made from beautiful, white Schulte alpaca. He has 6 joints including a double neck joint and a wire armature. He can stand on all fours. I hand dyed the German mohair used to make Little Miss Sunshine. She is wearing a broderie anglais onesie and can stand unaided. Oh Sue your little Miss Sunshine is the cutest little girl. I love her onesie . The skill you show in your big white bear is wonderful. Good luck with Hugglets. Hi sue! this so cute! I was just wondering, how did you do that bear?